Hans Vestberg (48), the current CEO of Ericsson is being considered by Microsoft Corp (NASDAQ:MSFT) as one of the persons who is likely to succeed Steve Ballmer the outgoing CEO. This was reported by Bloomberg after citing various sources that were briefed due to the enormous search for the executive. This may shock very many people on Wall Street despite the fact that he is one of the best persons that fits to lead the US Company as he is a media savvy technology expert. He is also a former elite level handball player who held a couple of management ranks at some of the larges equipment maker in the mobile telecoms industry in the globe with locations in Mexico, United States and Brazil to become a renowned chief financial office. From here he finally landed the role back in 2010 after joining the company in 1998. He however faced many challenges trying to persuade stakeholders that Ericsson was able to stay at the top position in the mobile network industry even when faced with stiff competitions from various rivals like Huawei from China. Since Vestberg too his position at the top, shares from the company have underperformed in the sector. The price of the shares has however risen by about 19% but this cannot compare with a company such as Microsoft as this compared to a leap of about 60% in Europe index and 41% in Sweden blue chip index. Even with all the reports in the media, Ericsson and Microsoft refused to make any comment on this issue although there are some sources that say that this appointment may happen at the end of the month of January earliest. Working as Microsoft’s director John Thompson speculated to be heading the search wrote in a blog spot in December that the board had started with more than a hundred candidates but have since narrowed own the list. In response to the candidacy of Vestberg he said that the company does not comment on speculations and rumors. Furthermore, Microsoft may want to look for a candidate who has more experience when it comes to consumer products. This should be done in a bid to try and battle with other market leaders such as Samsung and Apple in tablets and handsets after it was successful in the purchase of Nokia’s mobile business. It is important to note that Vestberg was the head of Ericsson’s exit from the joint venture its handset had with Sony for about two years which led to the end of the company’s association with its consumer products. The leader of Swedish telecoms did not think that he would be chosen for the job and added that is was more logical for Microsoft to find a leader from the US who is within their networks of experienced CEOs, owners and board members. He finished by saying that he thought there was enough experience and talent in the US market that the company could choose from and get good experienced hands to lead the company. The search for the new CEO has also been dogged with numerous difficulties and the new one has to work very hard to turn around Microsoft and make it the best at a time when the main software business is still struggling. This is not it as at the same time the company has only managed to make limited headway when it comes to the fast growing markets of tablets and smartphones. Bill Gates the co-founder of Microsoft and Ballmer hold about 8% of the stock and are also members of the board. This presence has deterred some of the potential candidates citing that the new CEO might not be as independent as they are supposed to be in the role. 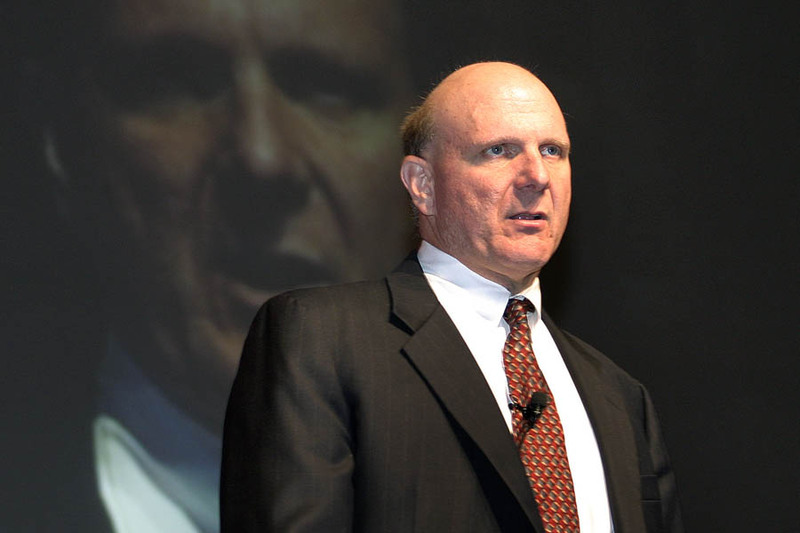 The search for the next CEO began when Microsoft’s Ballmer announced his plans to retire last August. He was on the top seat for 13 years and stated that he would step down within twelve months if the ideal candidate was found. There are many potential candidates who have been discussed by analysts such as Tony Bates and Satya Nadella and many outsiders. There are also some people such Paul Maritiz the CEO of Pivotal Inc who has declined to take up the job offer close sources said.